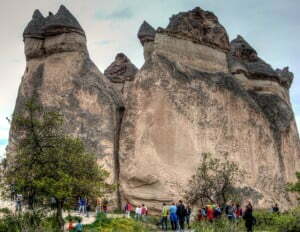 I had returned to Pasabag Monks Valley, just outside the touristic town of Goreme in the central Anatolian region of Cappadocia. Standing there alone, I looked up at the tall domineering rocks in front of me. Some were rugged while others were smooth, a sign of wind erosion over hundreds of years. Many websites described them as mushroom shaped whereas all I could see was a strong resemblance to a man’s private part. Perhaps my mind is twisted and dirty or maybe the websites were more conservative with their description for business reasons, but looking around at the other tourists, no-one else seemed amused at the phallic like resemblance. 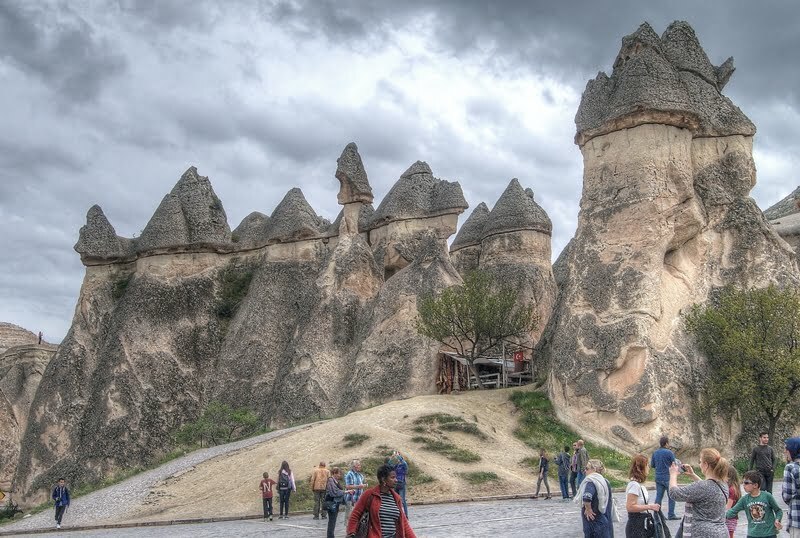 As well as the mushroom references, it is also nicknamed Monks Valley, apparently a reference to the Byzantine hermit monks that carved their shelters in the tall rocks. In true Turkish fashion, it also has another name as the “General’s Vineyard,” given to it after the Byzantine Empire lost control of the region to the Ottomans. A Pasa was a high ranking officer of their army and on the outskirts of the valley are small vineyards. I told my private guide to take a break while I walked around. It was my second visit here and in truth, I only wanted some photographs. 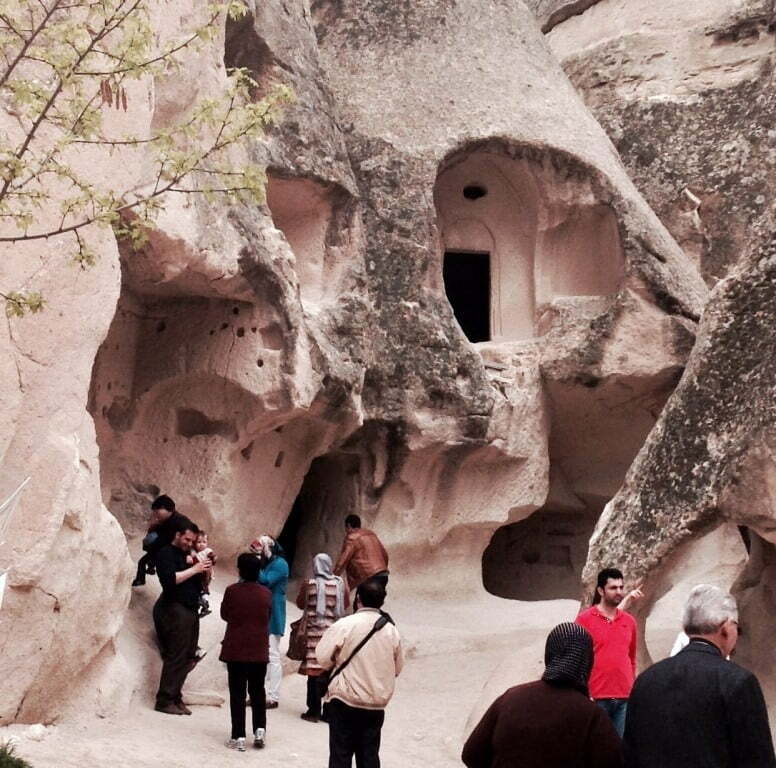 Explore however is what Duke from Captivating Cappadocia did. He lives in the region and says that while most tourists stay for only 30 minutes (yes, that’s me,) it is worth hiking further into the valley. Sites like Trip Advisor list Pasabag Valley as “amazing, a must-see and you will regret it if you don’t go”, but I am now beginning to wonder if I am desensitized. I wouldn’t make a specific journey to see these rocks. 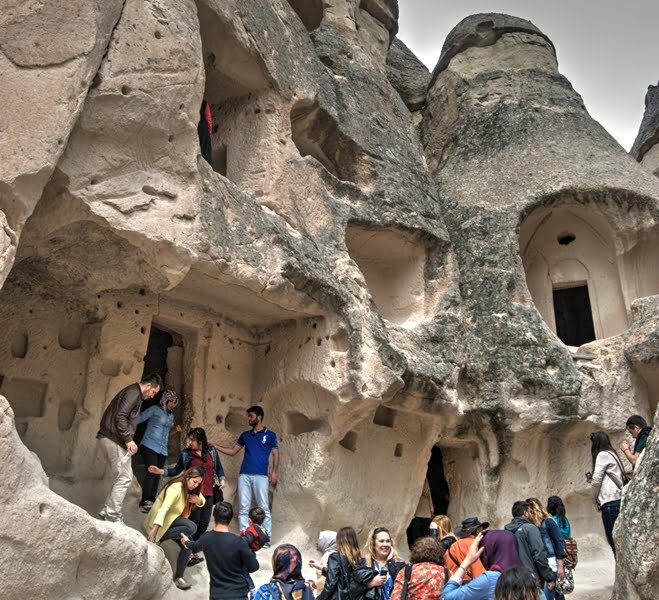 It is sadly disheartening to realize that I have become indifferent to the natural landmarks of Cappadocia because they have captured the interest of major publications like National Geographic. The caves and lunar like rock structures were a novelty at first, but I realized on my 3rd visit, that I no longer get excited as much as I once did. This is the downside of returning to a place again and again instead of just parking it in the memory banks. The trouble with Pa?aba? is that it is such a tourist trap. Sure, the chimneys are magnificent but there is all the awful tat that you have to walk through to get to them. I suspect you’d be happier with some of the valley walks. If you’re around again don’t forget I’m always up for 12km treks!